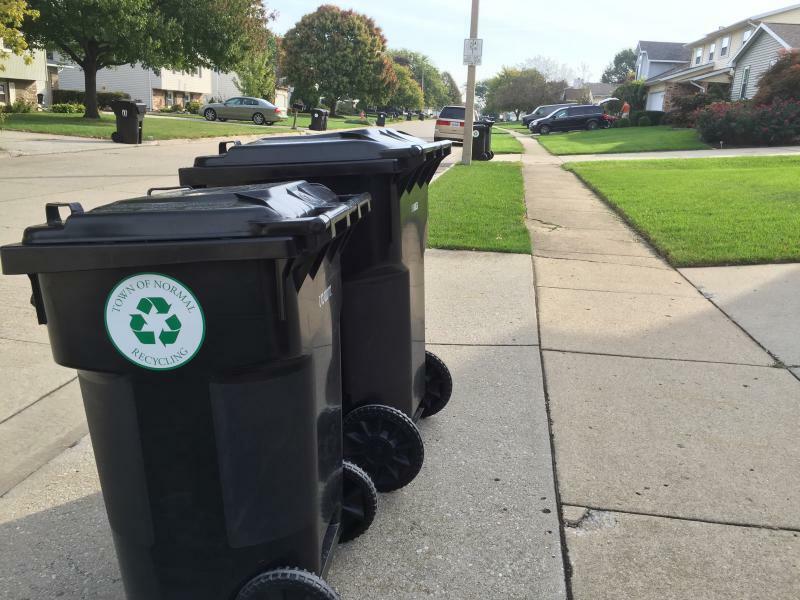 Recycling and garbage bins awaiting pickup in Normal. Recycling isn't getting any easier. More items can be recycled now, like batteries and electronics. Packaging has gotten more complex, as well, according to Michael Brown with the Ecology Action Center (EAC). But Brown is pointing to a new app, specifically tailored to Bloomington-Normal and McLean County, which might help. "There's just more and more, and more different materials, hard-to-identify materials. There's more types of plastics. There's mixed materials. It's gotten pretty confusing," said Brown during GLT's Sound Ideas. 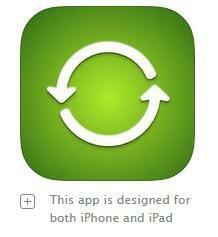 An image from the Apple App Store. The app is also available at Google Play. Recycle Coach, available for free at Google Play and the Apple App Store, will answer questions, provide alerts and reminders, notify users of upcoming recycling events, and help users reduce contamination, or un-recyclable items, in the recycling stream. 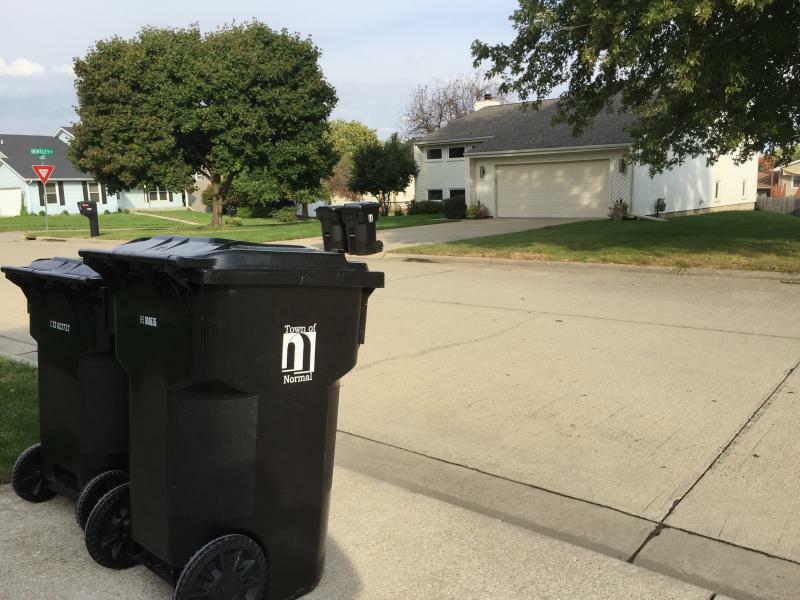 "This app can help increase that quality and make sure people are doing a better job, reducing contamination, but also open people's eyes to more things they can recycle they weren't aware of because this isn't just about curbside. This is about all the various dropoff programs in the community: e-waste, textiles, (and) this includes hazardous waste as well," said Brown. The app has more than 1,300 users. Brown said the Ecology Action Center will continue to promote the app to gain more users via social media and at events like the EAC's America Recycles Day-MEGA Recycling Event at the Illinois Wesleyan University's Hansen Student Center Parking lot on Nov. 18. "We're going to tell them about the app," said Brown. "So the app is going help them get more detailed information on a day-to-day basis about those programs. 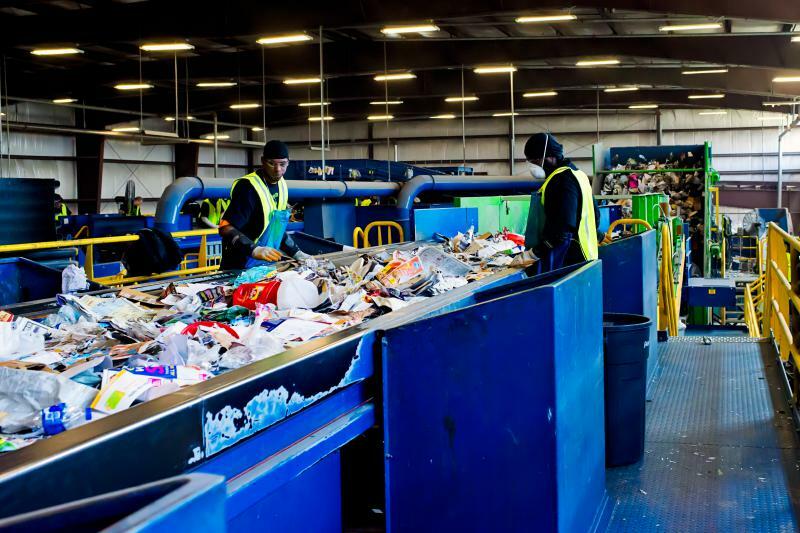 So ideally that event, America Recycles Day, might die from no attendance if we're successful in promoting these alternate locations for regular usage." The app is also available in Spanish. The head of the Ecology Action Center said he's pleased with the weekend household hazardous waste collection event.